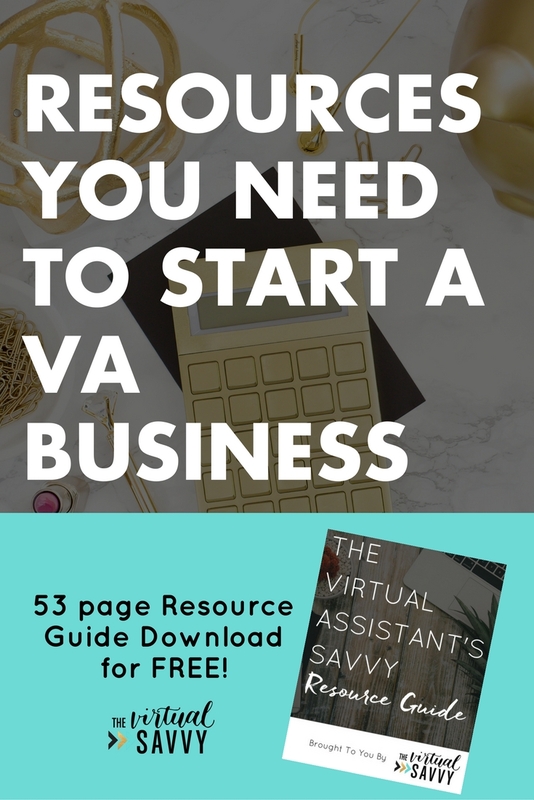 [Virtual Assistant Resources] Tools you need to run a VA business. 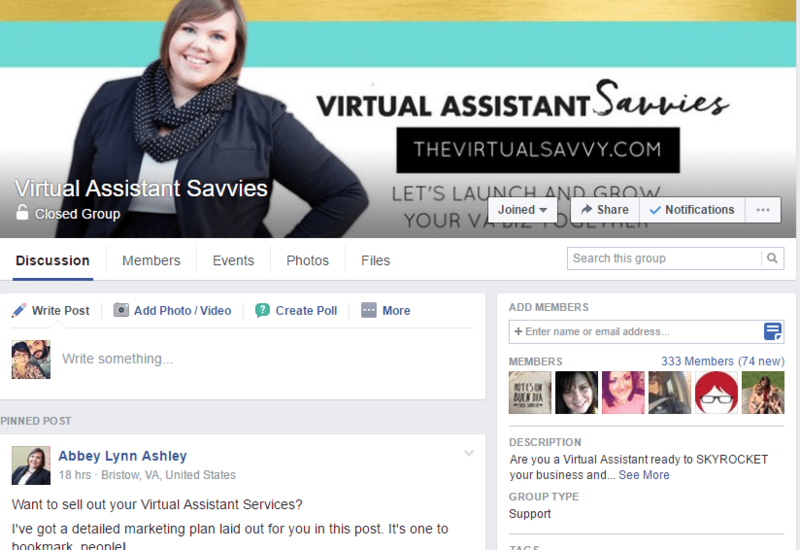 I’m excited to share with you the virtual assistant resources and tools that I LOVE, and what helped me sell out my virtual assistant services and experience the freedom that comes with running your own at-home business. A quick note about the resources that I’m going to share with you. I’ll give you the resource or tool and my thoughts about it. For some categories, I’ll give you multiple options. Because every individual has a unique personality and style for working, you may prefer one tool over another. If you have questions about any of these resources, I am happy to assist. Just send me an email at hello@thevirtualsavvy.com and I’ll get back to you as quickly as possible! 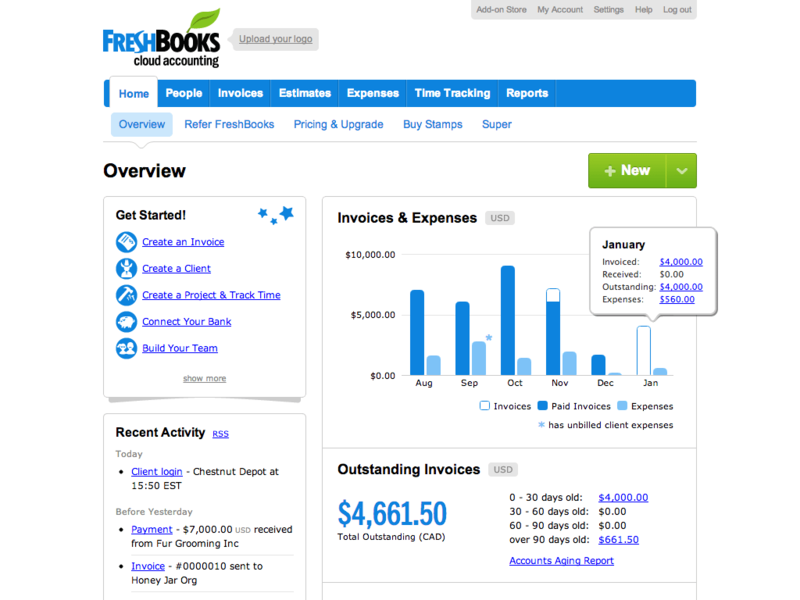 Freshbooks is one of the best investments I made for my business once I had a few clients to juggle. Track your time, have your subcontractors track their time, send invoices, and accept payments and reviews all in one simple-to-use software. You can set it up with Stripe and Paypal Business (this option will cause you to only have to pay $.50 per transaction instead of a percentage of the invoice!). It’s relatively inexpensive too – you can get a 30-day free trial and then it’s only $9.99 a month to manage your first 5 clients. Some people LOVE 17Hats, and some people don’t. I think it is a software worth looking into (and checking out their free trial) to see if it’s a good match for you. You literally can have everything all in one place with 17Hats. 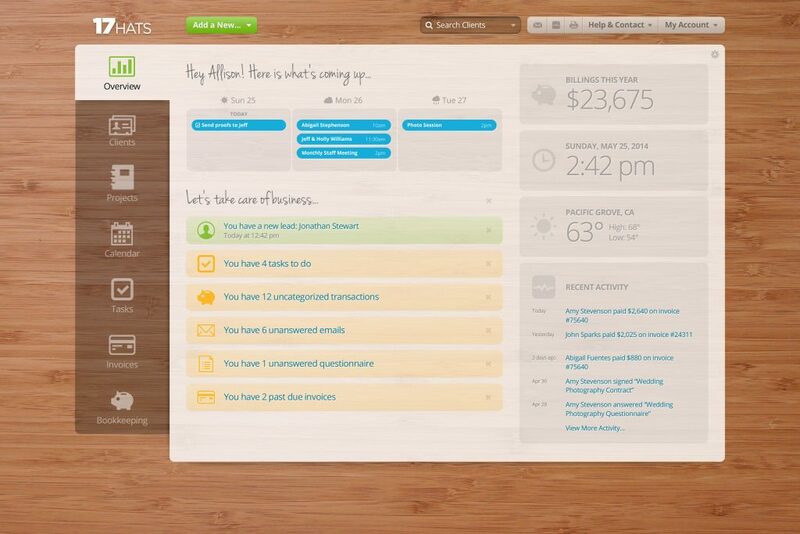 Your invoicing, calendar, contacts, processes, time tracking, etc. You can even set up automations so you can run parts of your business hands-free (how about sending a custom email once your invoice is sent, or a reminder if it isn’t paid after a week?). 17Hats is newer on the scene, and they are always adding new and exciting features. I recommend Wave Accounting to VA’s who are just starting out and don’t want to spend their money on paid accounting systems just yet. 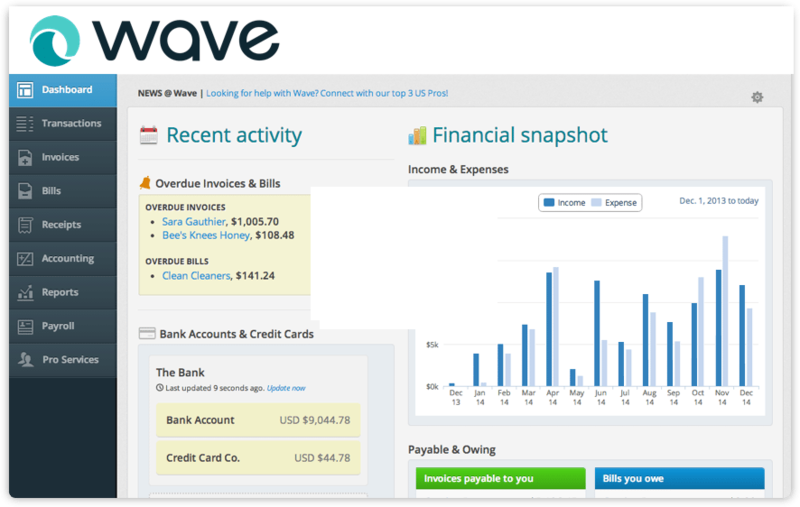 With Wave, you can send invoices, track payments and expenses, run reports, and view your monthly and yearly profits and losses for free! You can even accept online payments for a low fee. If you don’t fall in love with Wave, Paypal invoicing is also a great place to start for free invoicing. Your clients will be able to pay their invoice and you’ll be charged a small fee for each transaction. If you’re already accustomed to Paypal, this may be a good option for you. If you need to talk to a professional about your taxes and financial processes, Amy is your gal. She provides CPA services specifically for freelancers and is my best recommendation for done-for-you tax services. Paypal offers flexibility when it comes to accepting payments online. You can request payments by sending your client an email or by simply sending them an invoice. It also allows you to send reminders to that client that has an overflowing email and missed the invoice. The only downside to all of this is that once you receive more that $100 you will have to wait 21 days to receive payments made. Gumroad is a great tool to use if you are planning to have recurring payments. They make it very easy to get it all set up. It also allows you to sell digital and physical products which can be good if you plan on starting a blog with your business. One of the things that I like about 17Hats is the fact that you can send an invoice and after a particular time it will send the client a friendly reminder that they need to pay the invoice. No more awkward emails asking to get paid! They accept credit card payments starting at just 2.9% transaction fee. I recommend signing up for the free trial if you want to see if you’re meant for each other before you get too invested into the product. It is easy as 1­2­3! You go into your local bank and ask them for information about how to get your business account set up. Each bank might have different requirements, but all­-in-­all it should be pretty straightforward. If you are a member of the armed forces or are related to one, Navy Federal Credit Union is a great banking option for budding entrepreneurs. It’s the nation’s largest credit union and offers tremendous benefits such as personal business development counseling, low­ fee business checking and savings accounts, low­ interest loans and business credit cards that do not reflect on your personal credit report. Because Navy Federal is a not ­for ­profit and member­ owned, the credit union is truly concerned with your best interest as a small business owner. Too busy to go to the bank? No worries because there is Ally, an online banking system. You can open a checking and savings account by going to Ally.com. They have competitive rates and are available 24/7. You can withdraw money from ANY ATM, and they will refund your fees for that ATM! Crazy, RIGHT!? I definitely recommend checking them out! Slack is a hip, new messaging app for teams. Known as the “Email Killer”, it offers real­time messaging within public or private channels that you create. Share images, docs, pdfs and spreadsheets with your team, and be notified when they make a comment. All content inside Slack is searchable, including files, conversations, and people. Love emojis? Slack has them! This app integrates with the tools you are already using (Mailchimp, Twitter, Google Drive, etc. ), and it is super easy to set up. It’s clean; modern feel brings all of your business communication together in a really fun and interactive way! Being around since 2003 has helped OneNote become a full­ blown application. It gives you the options to draw, record audio and video, scan images, embed spreadsheets and review the edits of others. It works like a notebook that never runs out of pages. You can have many different categories and subcategories. It is definitely for organization-minded people that enjoy structure and details. Google offers free, cloud-­based document creation and storage through Google Drive. You can create, share, collaborate on, and edit regular text documents, spreadsheets, presentations, and more. If you sign up for a free Gmail or Google account, you can start using your Google Drive account immediately. You can also download the mobile app to start or edit documents while you’re away from your computer. Evernote is a handy app designed for taking digital notes and organizing them. Think Pinterest for businesses; this app allows the user to collect any information from the web­­docs, web pages, photos, recipes, as well as hand­written notes, and store it in one place. Creating a project to­do list, jotting down reminders, and collecting ideas for your visual branding strategy are more fun with Evernote! 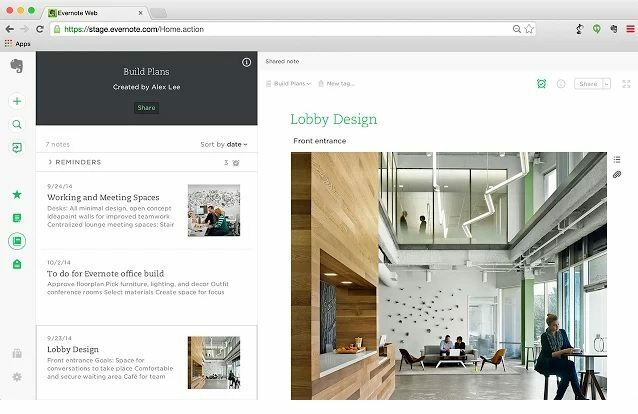 After creating your notebook, Evernote allows you to share with clients or team members, granting them access to view only or edit. It really is the next level of note­ taking and note­ sharing, and an app I would recommend checking out if you are a visual person. HelloSign is a quick and easy online signature tool that makes signing documents a breeze. How does it work? The user prepares and signs a document electronically, sends a signature request to up to 20 recipients, and is notified as they each sign the document. HelloSign is completely integrated with Google Apps, so your client can sign a contract while never leaving Gmail. Sign up for a free account and send up to 3 documents a month, or upgrade to Pro level to receive unlimited document signing, cool templates, and other perks for $13/mo. Like HelloSign, DocuSign is an easy way to share, sign and send documents. It has a clean and simple design. 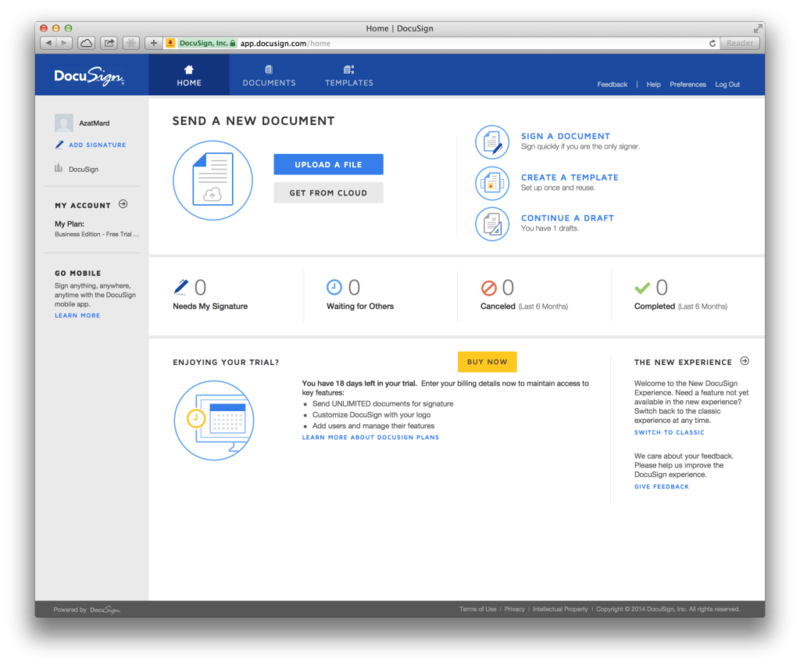 Docusign runs $10 a month vs. Hellosign which is a free option but offers document imaging and indexing as an added feature. As a Virtual Assistant, you will be sharing lots and lots of files with your clients. Dropbox is a file­s haring and cloud­-based storage service that streamlines this process. Known for being user­ friendly, Dropbox is simple to install and use. It allows you to instantly share folders with your clients and invite them to collaborate and edit if needed. Dropbox saves these files to the cloud and your hard ­drive. Opening a Basic account will give you access to 2 GB of space for free, but there are affordable upgrades available if you need more storage down the road. 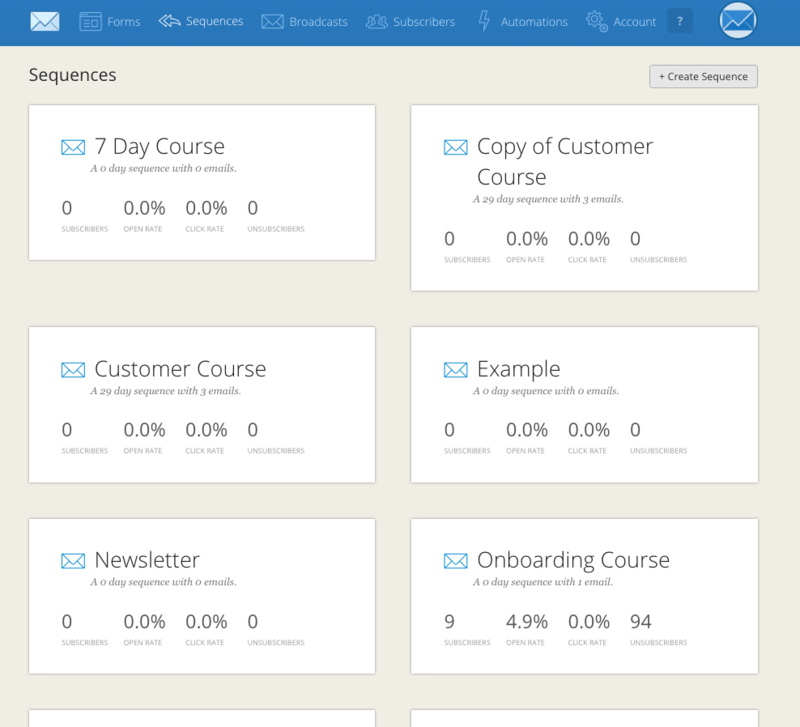 Mailchimp is one of the world’s leading email marketing platforms. For a new Virtual Assistant, MailChimp would be a great starting point to jump into the world of email marketing campaigns. It is fairly easy to learn, and potential clients will love that you have a working knowledge of the program. Simply put, MailChimp allows users to create newsletters and share them with their subscribers through emails and on social networks. Custom templates can be created and saved, avoiding the need to rewrite emails again and again. MailChimp also tracks results to email campaigns, allowing the user to make well ­informed changes as needed. Bonus: MailChimp is free up to 2,000 subscribers and 12,000 emails per month. 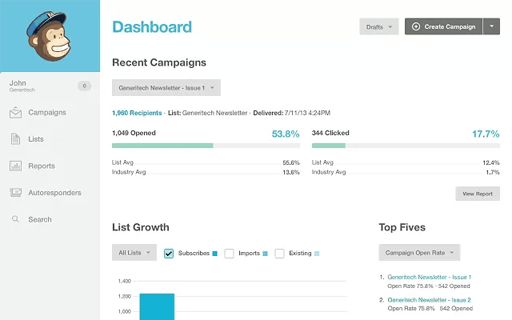 Like MailChimp, ConvertKit is another email marketing platform. This one is known for its functionality and ease of use. The process of creating emails in ConvertKit is significantly faster than in Mailchimp, and it has a ton of extra features that MailChimp does not. It’s not free, though, as ConvertKit starts at $15 a month. Known for its ease and beauty, Typeform has turned mundane form creation into an artistic expression. With its wide variety of customizable features, users can create engaging online forms while integrating their own branding elements. Pictures, logos, colors, and fonts can be used to create forms, quizzes, surveys and more for your business. If the customizable features are a bit overwhelming, Typeform’s template gallery is a great place to get inspired! Typeform neatly organizes all of your forms on its dashboard, and you can even link Google Analytics to track visitor behavior and demographics. The basic version is free and perfectly fit for a VA just starting out! 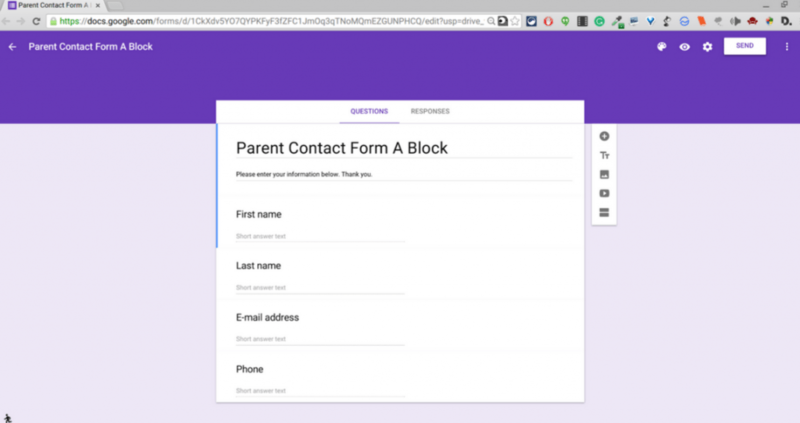 Google Forms is a great solution to gather and analyze data. It is easy to build and connects with your Google account. 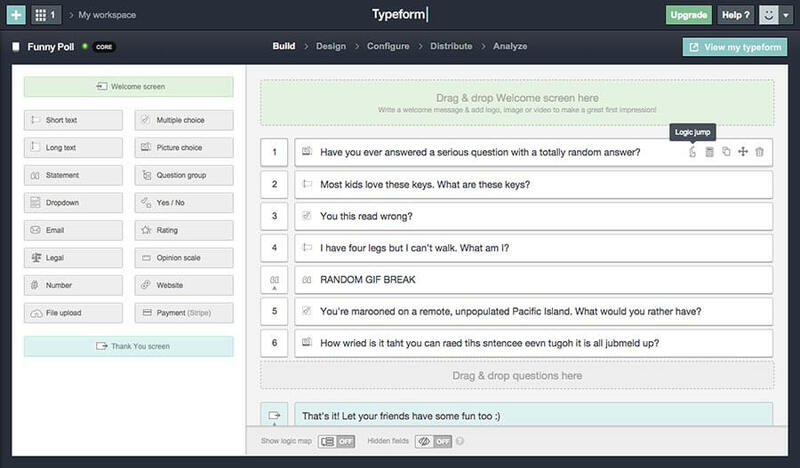 You won’t have as much creative freedom as you would with Typeform. But it is user-friendly and you can a form created in 15 minutes! Canva is an online graphic design program that offers free access to a huge variety of design tools and options. It can be used to create stunning images for your blog/website, social media accounts, and even presentations or business cards. If you invest in Canva for Work, you can also upload your own fonts and create templates for your brand. The basic Canva tool is FREE – Canva for Work is $12 a month (PS – I’m not an affiliate – I just freakin’ love this tool). 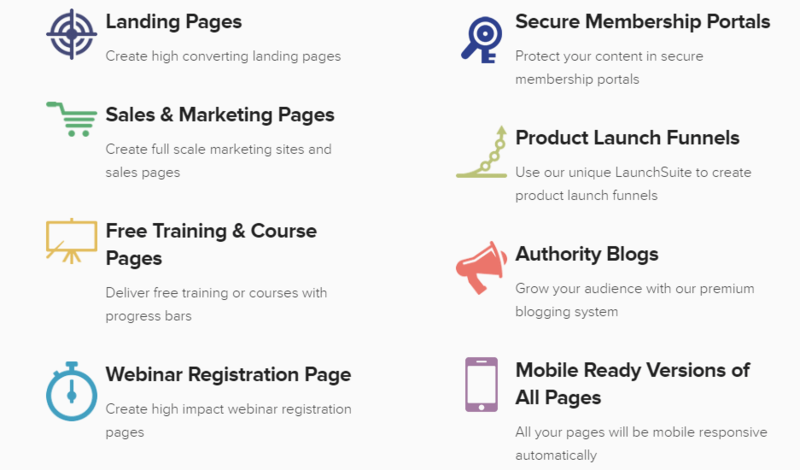 Optimizepress is a great tool that allows you to create landing pages, sales pages, and membership portals right from your WordPress! They have over 30 templates to choose from and is easy to set up in just a few minutes! ClickFunnels is one of the easier tools to use. You can create and customize sales funnels with just a few clicks. It gives you pretty awesome looking pages without having to pay for a designer! This is the landing page creator that I’ve just switched to and I’m in LOVE!!! See the most recent landing page I have created HERE. Do you want to grow your email list? 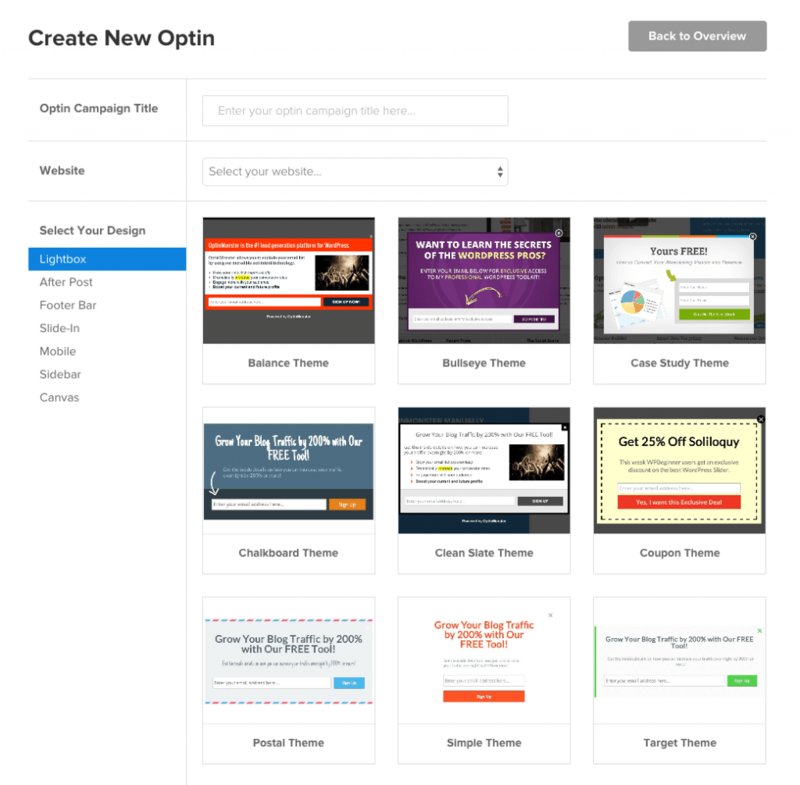 OptinMonster can help with that by creating opt­-in forms that catch your potential client’s attention. If you want help filing your LLC or Corporation paperwork, but don’t want to hire a lawyer, LegalZoom offers quick, safe business formation services. Their small fee gives you their prompt service as well as the peace of mind that your paperwork will be filed correctly. Want to protect your latest writing, music, or software? Use the U.S. 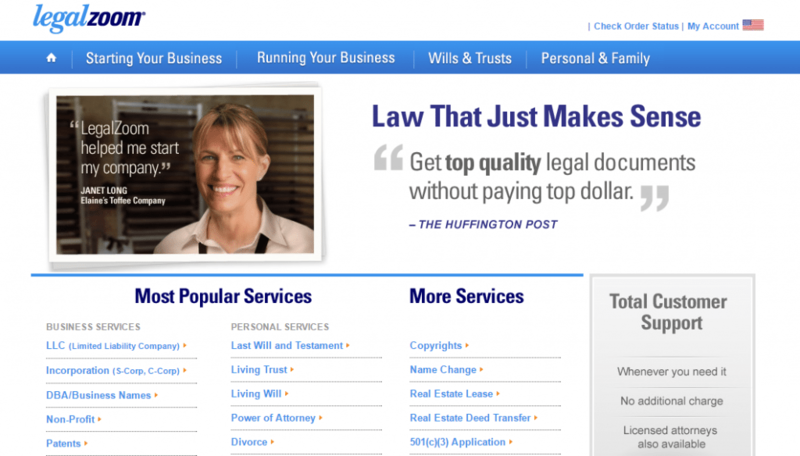 Copyright Office’s website to file an online claim for $35. Obtain a trademark for your logo, slogan, or business name using LegalZoom’s quick and simple process. These are my go ­to gals when it comes to all things legal. If you have a question about a contract or need legal advice for your biz, they are the ladies to talk to! Get all the contracts and templates you will need to legally cover your business! It may seem a little counter­intuitive, but Virtual Assistants can and should leave the comfort of their home office and network within their own community! Meetup.com is the world’s largest network of local groups, providing a platform for individuals to organize events in their community. Search for a local Meetup that targets entrepreneurs and small business owners (i.e. people that need YOUR services) and join in on the networking fun! Make sure to bring your business cards and be prepared to clearly articulate what benefit your services could provide to the business owners attending. Meetups are always free, and hosting a group costs just $5 a month. Seriously … Facebook is the BEST place to find clients. I’ll teach you how to use Facebook like a BOSS in my VA Bootcamp. Creating courses really don’t have to be so intimidating. 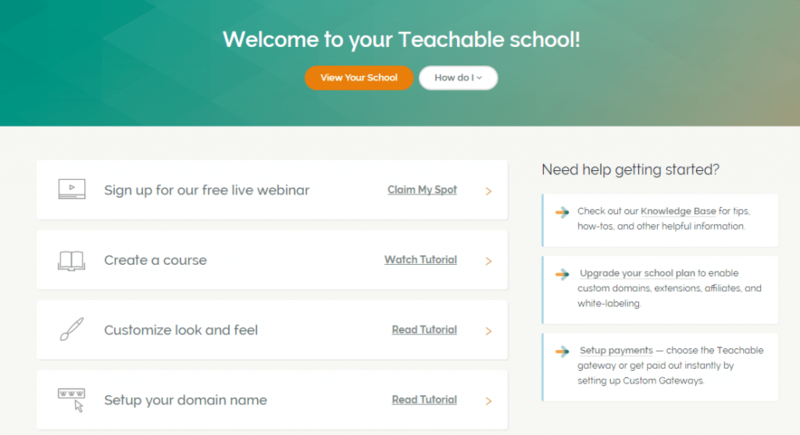 Teachable makes it so easy to create a course true to your brand that people will love. They allow you to create your first course for free! Upwork is a global marketplace where freelancers can connect with other professionals to market their skills and expertise. It’s a great place for a virtual assistant to find subcontractors­­ people that you as a VA contract to work for one of your clients. As a VA, you may be asked from time to time to complete tasks that are either mundane or not within your area of expertise. For these project, I recommend hiring a freelancer from Upwork to complete the task. You oversee the project to make sure it is up to your clients standard, pay the freelancer his/her fee, and keep the rest! Managing teams and projects are two of the many things you can do with Basecamp. 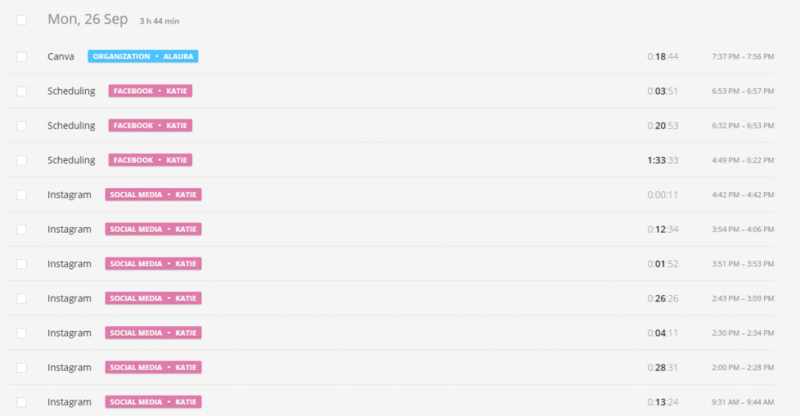 You have a real­time chat and if you still prefer email over Basecamp you can reply to chats straight from your inbox. It’s user­friendly, and they recently came out with their newest version! You can create your first team for free. It’s $29/month for teams and $79/month if you use Basecamp with clients. Create projects, tasks, and teams in your free Asana account to help you stay on top of any type of project. It’s simple to collaborate with others or just organize your own projects with both the web and mobile app. An efficient collaboration tool that allows you to organize your projects (completed, pending and in­progress) into simplified boards. In the boards are cards which are the same thing as tasks and then you can go even more detailed into each task and create to­dos and notes for it. It has a free version, and the paid version offers you to integrate with other software. Their mission is to help solopreneurs automate their businesses processes. For example, it can include sending out the initial email and welcome packet. However, they don’t have the same project management capabilities as Asana, Teamwork, etc. You may just organize your client work using Google docs! It’s what I used for several years! It’s really about what works the best for you! A project management and collaboration tool in one that is simple and easy to use. 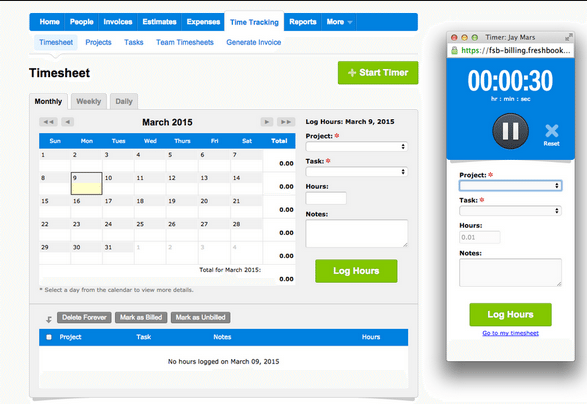 You can set up milestones, create task templates, and track time. It is ideal for small teams due to its attractive pricing and amazing features! 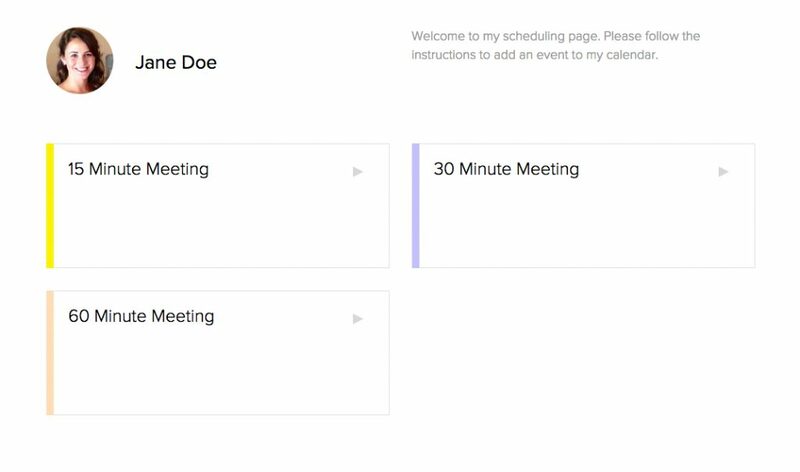 Calendly is a great affordable tool that will reduce the headache of setting a meeting up with clients or your team. You can send a link that will allow them to schedule a meeting with you. You can add the link to your email and your website! It is definitely one of the must-haves when starting your VA business! Hootsuite is probably the most well­-known social media scheduling platform for business owners. It starts free, is easy to use, and can simplify the complicated process of posting multiple updates to various social media sites. 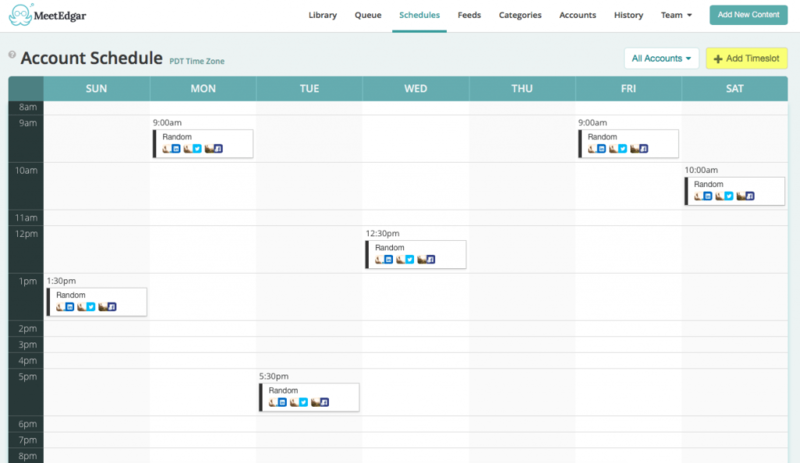 With Hootsuite, you can schedule posts for all of your clients in one place weeks in advance. You can bulk schedule and post to multiple networks at the same time. Hootsuite is accessible from its mobile app, offering a social media VA the flexibility to take care of business from anywhere! 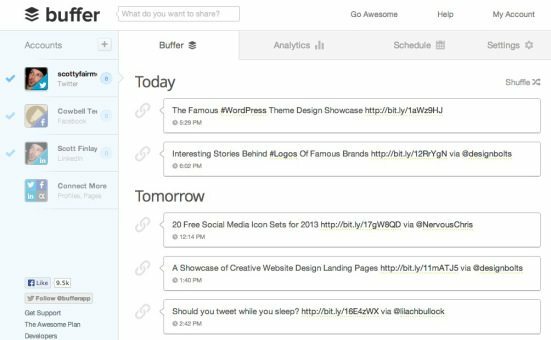 If Hootsuite overwhelms you and includes more than you are looking for, Buffer may be your thing. The interface on Buffer is super clean and very intuitive. It allows you to pre­select times to post to your accounts so that you don’t have to choose with every post. I added up to 30 times per day trying to see how many it would allow on the free account before I got bored (also, please don’t ever post that many times per day). You can add a Buffer add­ on to your browser, so anytime you find something good it can be sent to the Buffer queue quickly and easily. Buffer is very simple and easy to use but lacks the extra features that Hootsuite offers. Meet Edgar is the newest social media scheduler on the scene. It operates a bit differently than Hootsuite and Buffer. In Meet Edgar, you will spend a lot of time upfront building your content library. From there you can create categories and assign each post to a category and the social media platform that it should go out to. Here’s the cool part, once your content library is built, Meet Edgar will just pick something from your category to post (or you can specify that a particular post goes out at a certain time). The best feature about Meet Edgar is that once something has been shared, it goes back in line at the bottom of the library to be recycled on a rainy day. Basically, all of your content can become evergreen. This is one of my favorite stock photography sites. If I cannot find the perfect photo on one of the free websites listed below, 123rf.com is where I head. There is a huge variety of images, they are easily searchable. 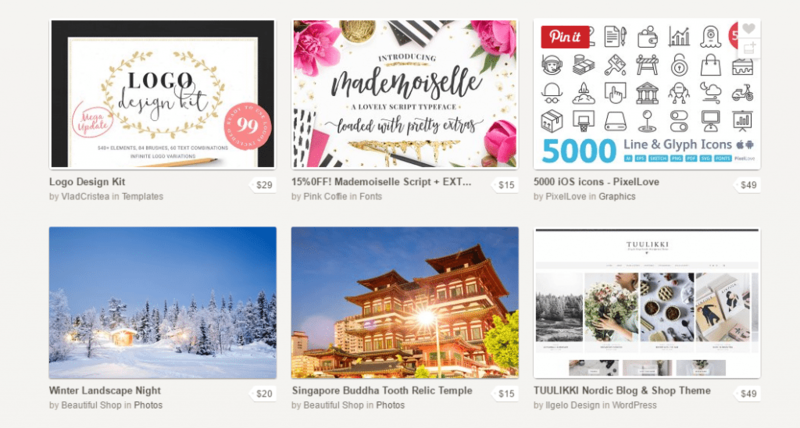 Creative Market is a great place to find more than just stock photography. They have amazing deals on fonts, stock photos and much more! They also have six new freebies every Monday. YAY to freebies! Unsplash is one of the best places to find high­quality stock images. You really could spend all day browsing through all the images. Ten new photos are posted every day and if you like a photographer’s style you can go to their profile where they have a ton more pictures! Pexels is another among the stock photography sites. If you don’t find what you need at Unsplash you can head over to Pexels! They also have a great collection of photos to pick from. Picjumbo offers a wide variety of pictures. Not only do they have a free version but they also have a premium version. If you become a member of the premium Picjumbo, you get access to collections of stock photos which can come in handy if you’re working on a series where you need to keep the branding cohesive. 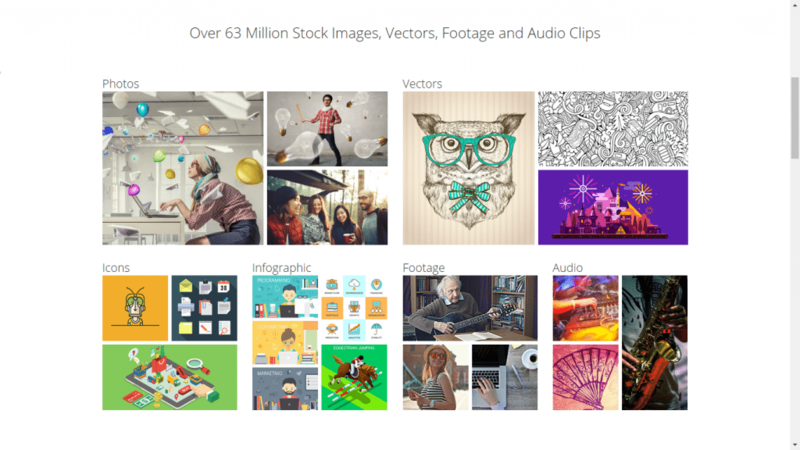 Fotolia has super cheap royalty­ free images, videos that are available to license and vectors. They are an Adobe company which only means they offer nothing but the best! Time tracking is one of Freshbooks best features. It allows you to enter time manually or use the timer. You can take the hours worked and easily turn it into an invoice and send it to your client. It is also included in every plan. 17hats gives you the option to track time on your phone and on your browser. You can easily convert it into an invoice and send your client a detailed invoice. Zoom is one of best conference meeting software available. It’s still pretty new for a lot of people, but it has features that are simple but not simple that you can’t have a productive meeting. One of best features of Zoom is that it works great with Low internet bandwidth which is ideal for people that have long distance clients. It has the screen share feature, and if the organizer ever loses internet connection, an attendee can become the organizer. Up to 10 people can video conference at one time (for free) with Google Hangouts. If you need to screen share with a client (to show them how to do something) or communicate with clients from long distances, then use Google Hangouts. Skype has been here since the beginning and does have many features that Google Hangouts doesn’t have but it does charge for a lot of features that Google Hangouts/Google voice offer for free. For example, making calls is something that you need to have a subscription for if you’re using Skype. That is why I highly recommend making video calls which are FREE! I definitely recommend trying both applications out to see which one will work the best for you and your client. 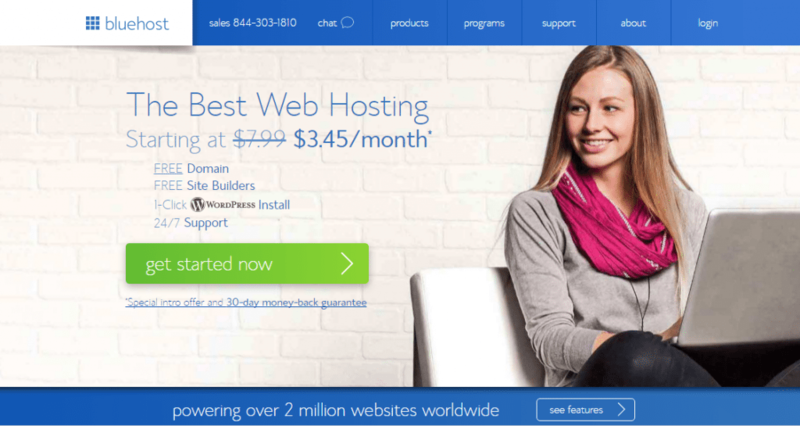 Bluehost is one of the most popular hosting platforms. It has attractive pricing and is definitely a good hosting platform to use when you are starting out as a business or a blogger. Known for their affordable pricing and excellent customer service, Namecheap is a perfect place to purchase your domain and host your site. I used them to buy all of my domains because of the great prices. It is ideal for anyone starting out. I give it two thumbs up! WordPress is ideal for bloggers, it is what I used to create my website. It is customizable and gives you the option to add many different plugins. However, if the plugins experience problems, it can be problematic. If you do know a thing or two about websites I recommend WordPress. You have more freedom to customize, but you do need to have basic knowledge about building a website. Squarespace is more expensive than WordPress, but it is an all-­in-­one package if you’re running a business. You don’t have to worry about so many plugins since Squarespace is already integrated with many of the traditional software, unlike WordPress that has you install and update every plugin. 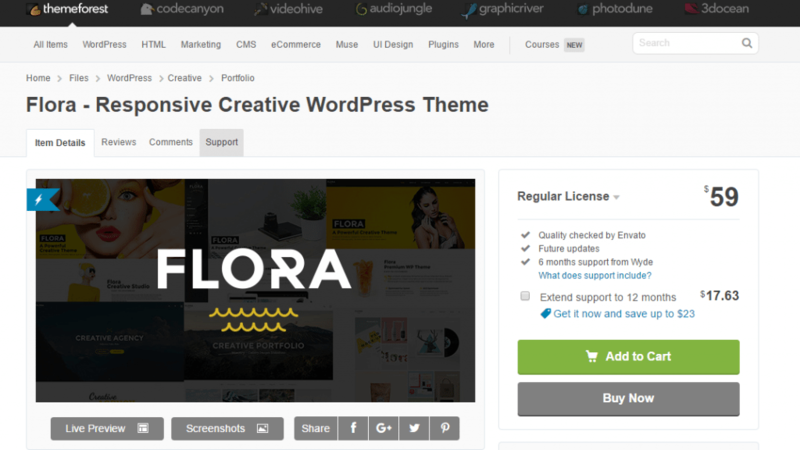 Get premium WordPress themes for your website or blog for $30 – $55. Most themes come with a wide range of customization options and support. ThemeForest themes are typically very easy to use as well. Rapportive is a plugin that you can install in your Gmail. 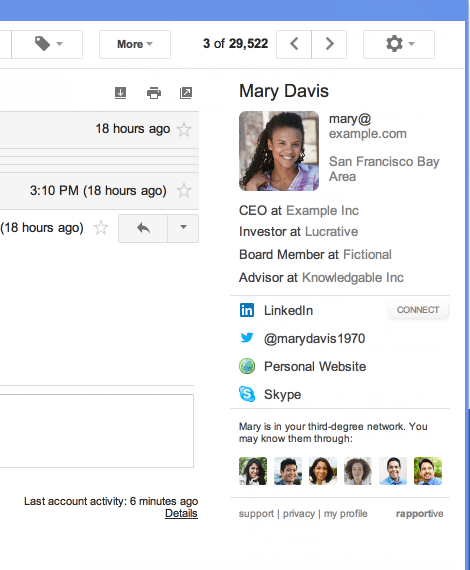 It allows you to get LinkedIn profiles right in your inbox! It is amust-have when sending out your detailed emails to your leads. Boomerang allows you to schedule emails and will remind you to follow up when you don’t hear back. You can also save an email to view it later. You set the time you want to see it, and it will appear in your inbox at that time. Perfect for those of us spend more time looking for an email than reading it. These URL Shorteners allow you to create short links for your website/blog posts. When someone clicks on that link, it gives you a report of where you got the most traffic. Zapier helps you integrate Web apps that aren’t already integrated. It’s a way to make two web apps communicate with each other. 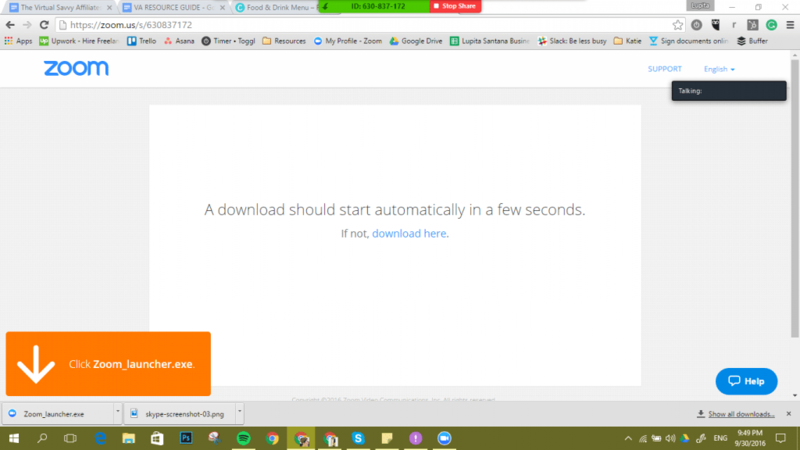 IFTTT is very similar to Zappier, and it is free! It doesn’t have as many options like Zapier. You have to limit yourself to one trigger and action whereas Zappier allows you to take many actions with each trigger. Time Doser is an app available for Google Chrome. It helps you find balance! You set a time that you want to work and after that allotted time it prompts you to take a break. You become more focused and productive. What are your favorite tools for running your VA Business? 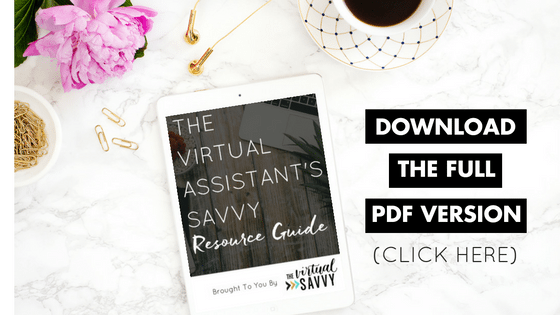 Want to have the Savvy Resource Guide on hand in a downloadable format? *Some of these are affiliate links. However, I will ONLY list resources that I have used personally and trust entirely. What are your favorite tools to use for your VA Business? This is awesome!! I’m definitely going to look into Wave. I’ve used Wave for both business and personal needs for years, it’s awesome! Reporting definitely makes tax season easier too. Wave is pretty great! Thank you Erin! This is exactly what I was looking for. I’m planning out my expenses and looking forward to our call next week. I have so much in the works right now. For banks, I have really liked Simple. It’s online based, if I need a check sent, they will do it, they are free, and there’s a debit card. They also have a budgeting feature, so I can set apart money for taxes and business expenses and know how much I can use to pay me. They also email me when there’s been a deposit. The name fits. Hey Lora! Thank you for the info on Simple! I have heard great things so far. Great information here! Thanks for creating this! For project management, I would recommend Podio. It’s what I use for clients. Very customisable. Wow, I am overwhelmed by all this amount of information I ignored! I am glad I found your website and I have lots to learn and to teach to my partner from now on. Thanks for sharing! and I’ll keep coming ack for more. Will be sharing this with my instagram followers andd I’m sure they’ll love it as well! Thank you for sharing your knowledge. I’ve been using Asana, Toggl, and recently, Wave (based on recommendations from your FB groups). I can’t wait to use the other time saver apps on your list. I would love to share this resource on my social medial pages. Thanks, Abbey, this is a fantastic resource! I will give some of your suggestions a try. Wonderful! Let us know if how it goes and if you have any questions. Wonderful! I’m so glad you found it helpful, Julie! Choose a name for your Virtual Assistant business… TODAY!